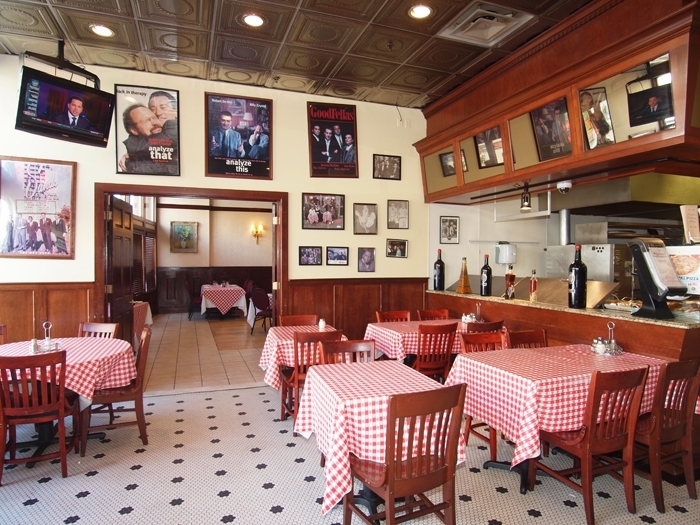 Angelina's Pizzeria Restaurant has the look of the classic 1950's pizza place. 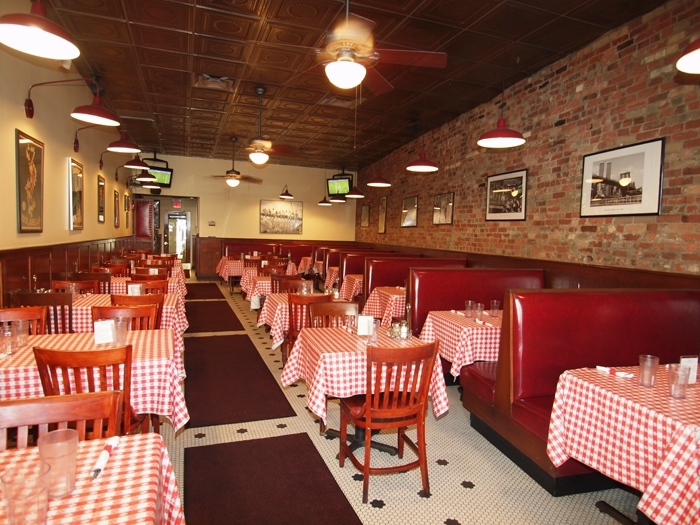 Red and white checkered tablecloths, tin ceilings, rich dark woodwork, tile floor, framed movie and sports themed posters, and cozy booths give the eatery a comfortable ambiance. 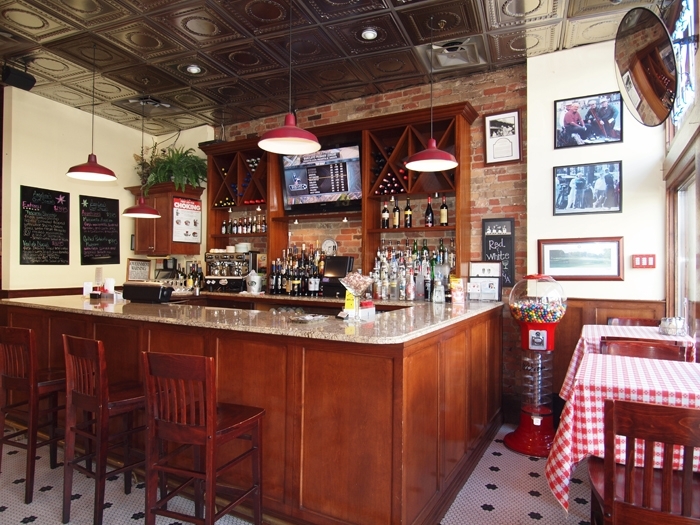 The granite top bar is a friendly place to enjoy a selection from their international wine list or specialty drink menu. 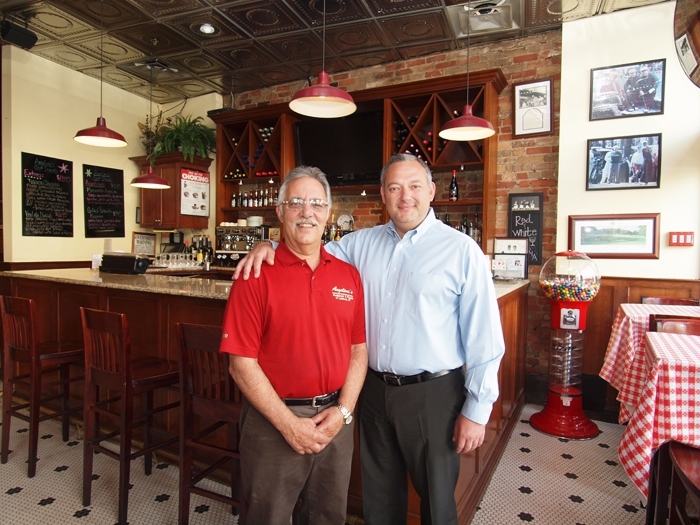 Owners Giuseppe and Vinny have many years of experience in the pizzeria business and bring their knowledge and expertise to Angelina's where there is a "family feeling" and everything is made from scratch daily, just the way they were taught. Dishes are hearty and portions are generous. Lobster Pescatore, a house specialty, is a whole lobster surrounded by shrimp, clams and mussels; and Rigatoni Fiorentina is a savory mix of chicken, spinach and mozzarella in a delicious creamy pink sauce. Pizza, with so many varieties to choose from, include their signature spicy Buffalo Chicken Pie; and the ever popular Margherita, a traditional Neopolitan pizza. 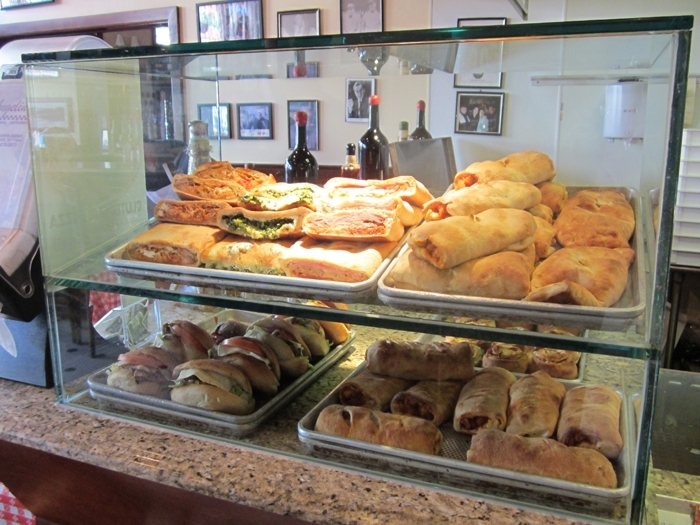 In addition, the extensive menu at Angelina's is full of pasta dishes, salads, heros and calzones, and more elaborate entrees. 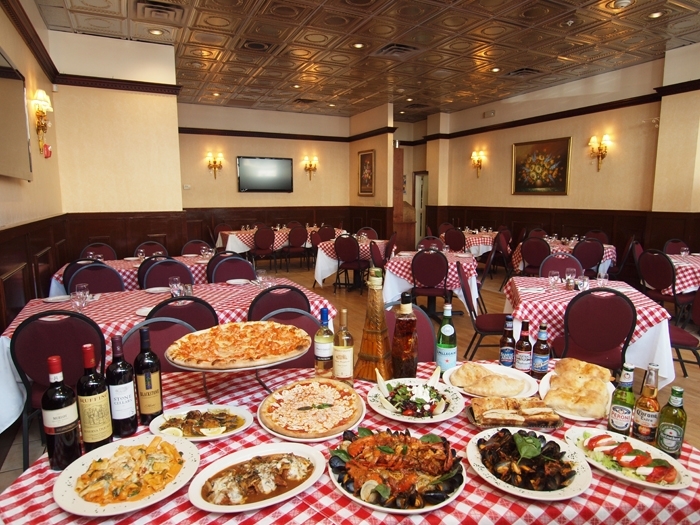 At Angelina's, the food is homemade and prepared fresh, the atmosphere is inviting, and they even have a private room for all your special occasions.